9 days from £4175pp plus international flights. 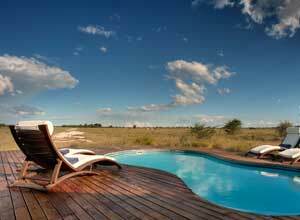 An exciting green season safari at a superb price. 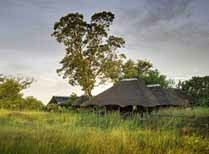 Choose from 10 camps in 4 countries including Botswana and Victoria Falls. 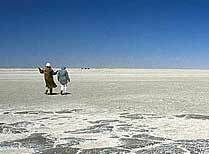 Make an itinerary to suit you, from 3 nights plus. Available from mid-November to end of March. 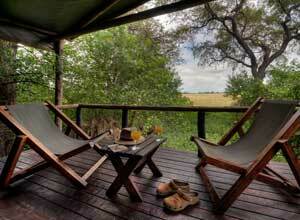 High quality accommodation and game viewing. 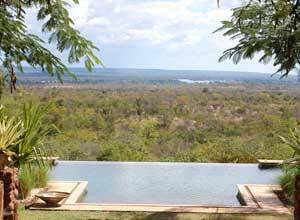 Create your own green season safari itinerary from 10 excellent camps covering 4 countries, all offered at a superb price. 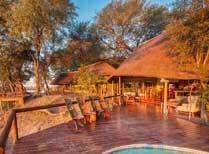 This special offer includes 10 camps in 4 different countries, which can be combined in any way to form the safari to best suit you. We have included this 9 day itinerary to give you an idea of possible combinations, but your holiday can be longer, shorter (minimum 3 nights) and can visit alternative or additional destinations. 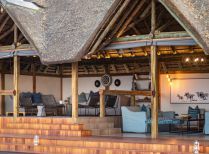 The specially selected camps and lodges cover a broad range of locations and habitats, so you will see a variety of landscapes and terrains as well as an abundance of animal and bird life. 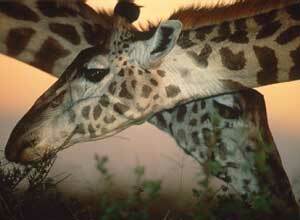 The green season is great time for a safari, with lush vegetation and vast herds of grazing animals. 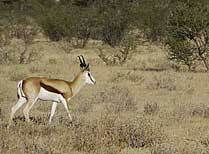 This is also the very best time to visit the Kalahari and salt pans with numbers of game swelled by the rains. 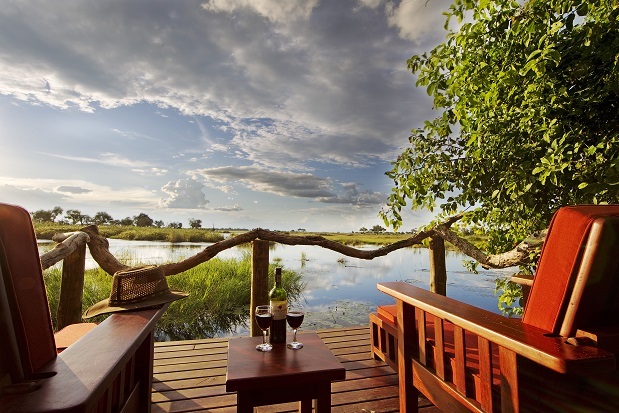 With locations as varied as the Okavango Delta, Kalahari Desert, Caprivi Strip and Victoria Falls you are guaranteed an unforgettable safari experience. 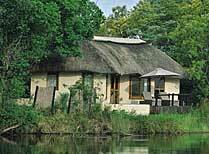 Please use the 'Accommodation' tab above to view the camps and lodges included in this special offer, all offered at the excellent, common-rated price of £375 per person per night (twin share). DAY 9: TIME TO GO HOME ... MAYBE! Price notes: 2019 Guide price pp sharing: 5 Jan- 31 Mar 2019 and 15 – 30 Jun 2019 from £3790. 15 Nov - 19 Dec 2019 & 5 Jan – 31 Mar 2020 from £4175. 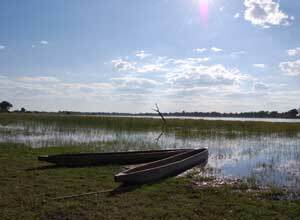 This sample itinerary starts in Maun and ends in Livingstone. 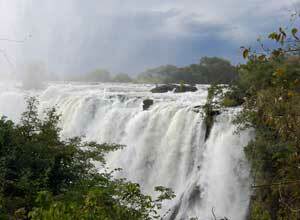 However, this is a flexible itinerary which can begin and end in any of the following: Livingstone, Maun, Kasane and Victoria Falls. 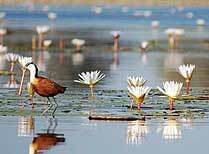 International return flights to Botswana from the UK over the green season will be about £1,200 per person. 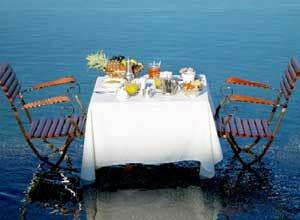 Departure dates: This tailor made itinerary can begin on any day to suit your wishes. 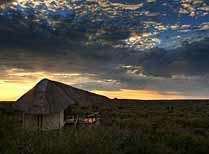 Come to the Kalahari for striking desert scenery, a surprisingly diverse range of wildlife, and to learn something of the San Bushmen’s traditional life. 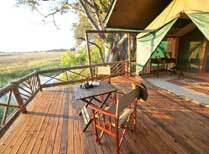 This elegant camp is in the private wilderness of the Kwando Concession in northern Botswana's Linyanti region. 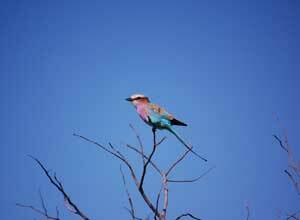 Nxai Pan Camp offers game viewing, star gazing plus access to Baines Baobabs and walks with bushmen. 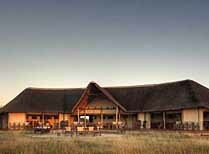 Pom Pom Camp is set in the world famous Okavango Delta and offers game drives and mokoro trips combined with luxury accommodation. 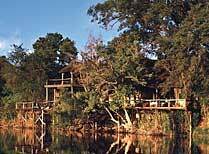 Susuwe Island Lodge enjoys a quiet and secluded location in Bwabwata National Park. NOTE: The lodge is currently closed after sustaining fire damage in August 2015. A re-opening date is yet to be advised. 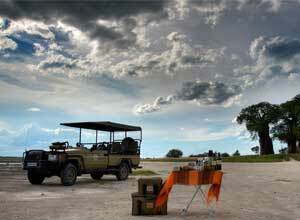 Tau Pan Camp is a luxury lodge in the Central Kalahari Game Reserve.